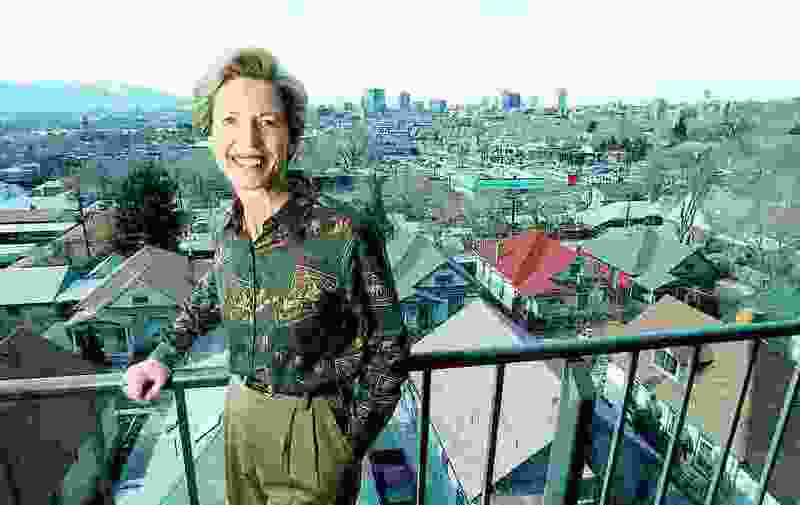 (Francisco Kjolseth | Tribune file photo) The late Deedee Corradini, first woman mayor of Salt Lake City, posing for a picture in 2003. Awards in her name were presented Friday to three community leaders. Salt Lake City Mayor Jackie Biskupski announced the city was honoring three community leaders on Friday. Singled out for recognition with the Deedee Corradini women’s leadership awards were Natalie El-Deiry, Faeiza Javed and Anne Burkholder. The awards are intended to recognize leaders who have helped other women and honors the legacy of the late Deedee Corradini, Salt Lake City’s first female mayor, who served from 1992 to 2000. • El-Deiry is the co-founder of the Spice Kitchen, a business incubator program that assists refugees, immigrants and low-income residents to start their own sustainable food enterprises. • Javed is the clinical director for South Valley Services and works with domestic violence victims and perpetrators. She has helped refugees, military veterans and people dealing with substance abuse and anger management. • Burkholder is the CEO of Salt Lake City YWCA, which, under her leadership, has established a center for families and two new residences, adding 181 beds for victims of domestic violence.